FAIRFIELD — Any motorist who has come to the stop sign at the top of Oldfield Road knows how dangerous it can be to turn onto Sasco Hill Road. To check for oncoming cars — or bicyclists — one must pull out into the intersection. Town officials are hoping the installation of additional stop signs on Sasco Hill will correct the situation. “It’s worth a try,” said Sasco Hill Road resident Bud Morten. He said traffic on the road has increased, and it’s used not only by cars, but also bicycles, runners and walkers. “It’s a very narrow road,” and many people don’t bother observing the rules of the road, Morten said. 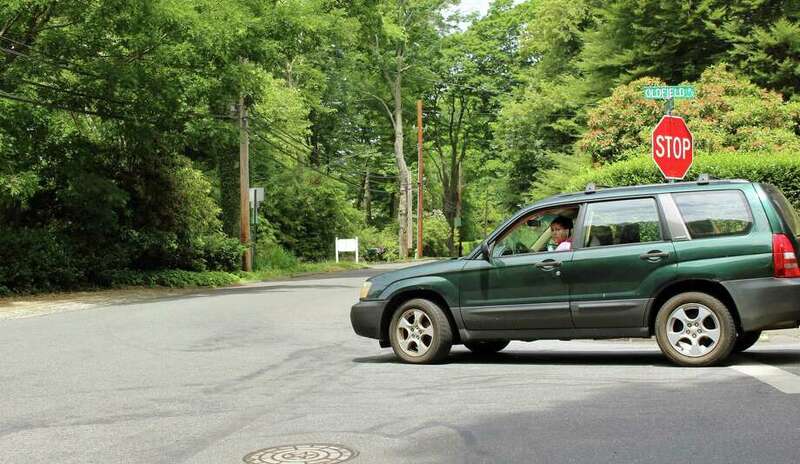 A nonscientific Twitter survey by Representative Town Meeting member Eric Sundman on the installation of three-way stop signs drew about 40 responses, Sundman said, with the majority in support of the stop signs. “I have not heard a single vote against it,” said Morten, though he said some residents believe it might be an inconvenience. Police Chief Gary MacNamara approached the Police Commission with the proposal. “There was a lot of concern generated by that intersection, and by the increase in traffic using that area as a cut-through,” he said. A study showed Sasco Hill Road was a high-traffic area and there are blind spots at the intersection, MacNamara said, that make it difficult to pull out. The commission approved the additional stop signs, and Lt. Robert Kalamaras said they will be installed as soon as proper locations are decided. He said the department is working with the Engineering Department to make that determination.